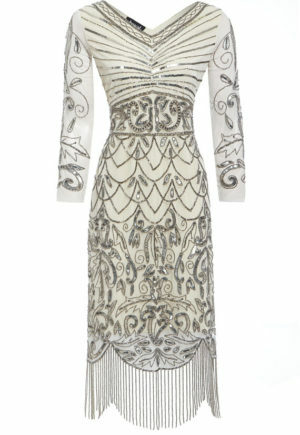 Stand out from the crowd and make an entrance in this beautifully designed 1920’s Great Gatsby inspired flapper dress. 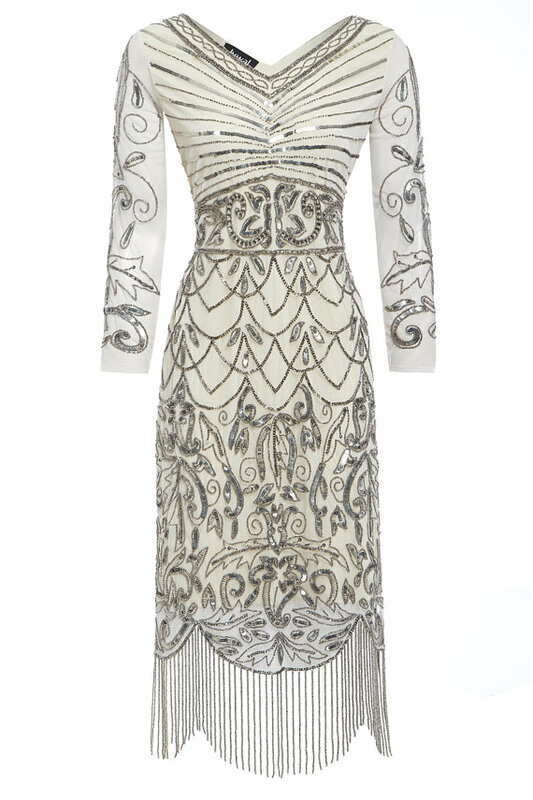 Adorned in grey sequins and beads, with long sleeve. 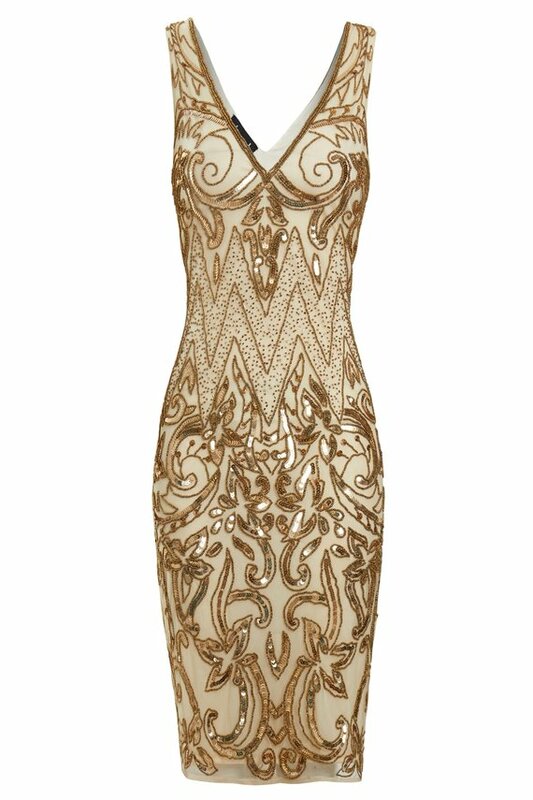 This hand-crafted flapper dress is perfect for the party season. Lavish, vintage and glamorous. For size conversions please see our size chart.